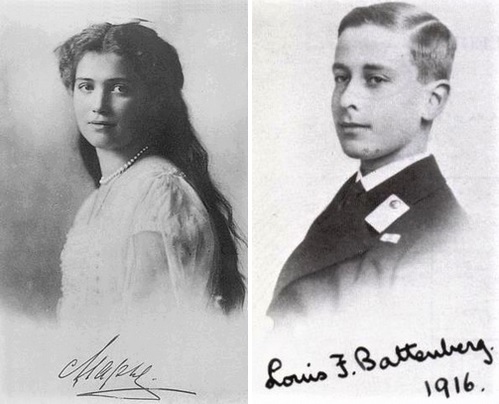 Dickie Mountbatten was born Louis Francis Albert Victor Nicholas of Battenberg (Battenberg was anglicised to Mountbatten in 1917), on the 25th of June 1900. 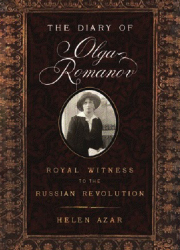 He was closely related to the Russian Royals through both his mother and father’s sides. His father was a first cousin to Nicholas, and his mother, Victoria, was Alexandra’s older sister, making he and OTMAA first cousins. 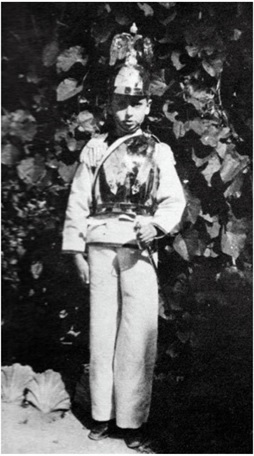 Dickie is pictured wearing a Russian military uniform of the Chevalier Guard Regiment, given to him for Christmas by his uncle Tsar Nicholas II. 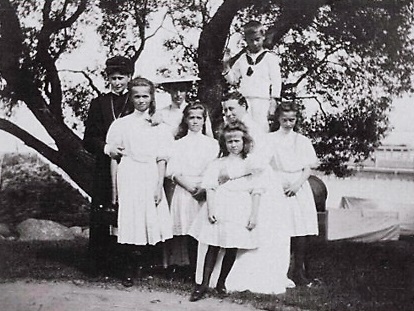 Dickie met Maria when he was 10 and she was 11, in the Autumn of 1910 at Friedberg, in Hesse, Germany. 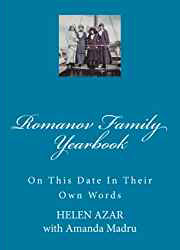 At this large family gathering the Romanovs met with the families of Alexandra’s sister Victoria and her husband Louis of Battenberg (Dickie’s mother and father), Prince Andrew of Greece and his wife Alice, Alexandra’s Sister Irene and her husband Henry, and also briefly by Alexandra’s now-widowed sister Grand Duchess Ella. 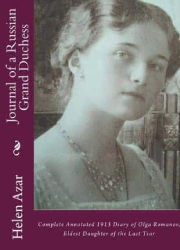 In his memoirs Mountbatten mis-remembers meeting his Russian cousins in 1913 in Heiligenberg, in fact this occasion in 1910 was the last time Dickie saw Maria. However, his emotions of his first love remained intensely vivid and he never forgot her; “Oh, they (OTMA) were lovely, and terribly sweet, far more beautiful than their photographs show. I was crackers about Marie, and was determined to marry her. She was absolutely lovely. I keep her photograph in my bedroom- always have.” (Mountbatten: Hero of Our Time by Richard Hough, P22-3). With Maria’s classic Russian beauty and vivacious friendliness it’s easy to see why Dickie would be attracted to his elder cousin. 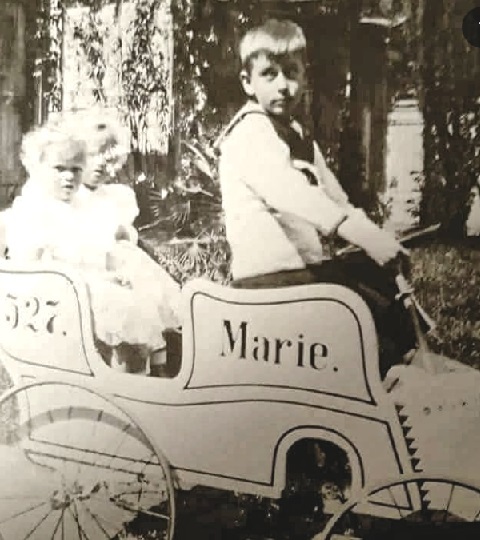 Dickie driving his sisters in a toy car named “Marie”, possibly after his favourite cousin. It is hard to gauge how far Maria reciprocated Dickie’s feelings. 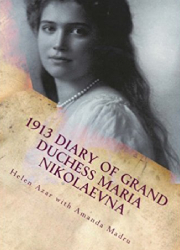 Maria’s 1910 diaries do not survive, and Alexandra advised Maria in 1910 on an anonymous teenage crush she was dealing with that “Now that you are a big girl, you must be more careful and not show those feelings […] One must not let others see what one feels inside.” (“Four Sisters” by Helen Rappaport, P 145). 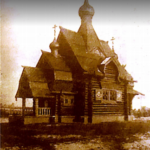 However Maria did continue writing postcards and letters to Dickie throughout her life, though she later developed other intense teenage crushes, the most serious of whom was Nikolai Demenkov. 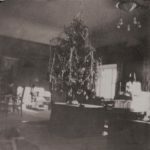 A postcard from Maria and Anastasia to Dickie in 1910 (“We wish you darling Dickie a merry Xmas and a happy 1911 year. Much love to all. 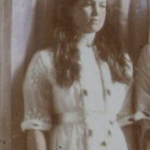 Marie, Anastasia). 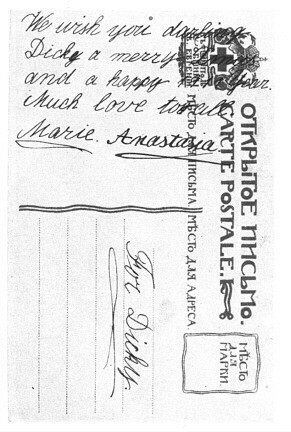 From handwriting and penmanship it looks as though Maria wrote this card, though it is signed from both of them. 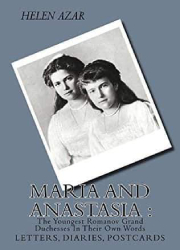 Interestingly, although Dickie never saw Maria again, his elder brother George of Battenberg travelled to Russia in June 1914 on the British Navy ship New Zealand and spent time with OTMA at Peterhof. 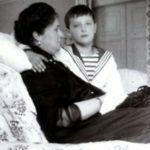 While there, according to the memories of Nikolai Vasilevich Sablin (not to be confused with the better known Nikolai Pavlovich Sablin, who also served on the Imperial Yacht Standart but who had a much closer relationship to the family), George spent a lot of time talking to Tatiana and agreed to exchange letters with her. 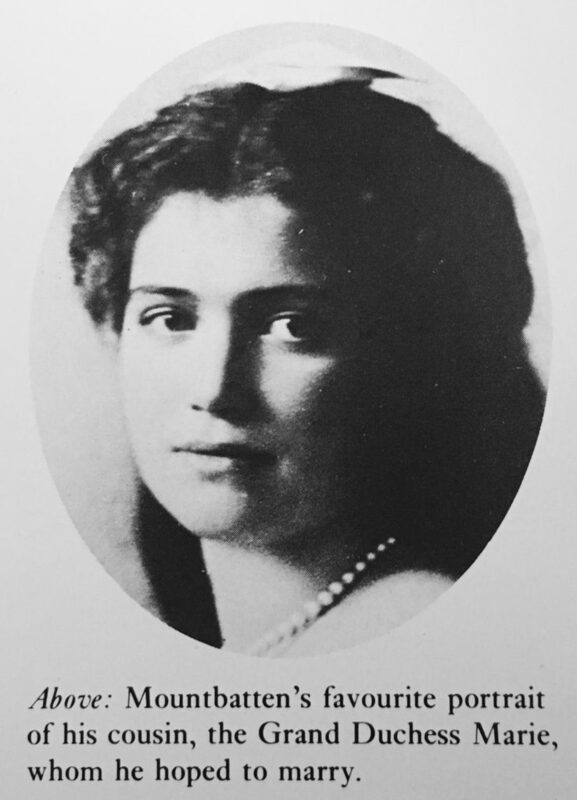 George would ultimately marry Countess Nadejda de Torby, the daughter of Grand Duke Michael Mikhailovich. 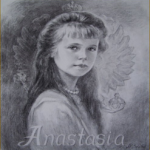 Their first child was a daughter born on the 16th December 1917, while Tatiana Nikolaevna was under house arrest in Tobolsk; they called her Tatiana. 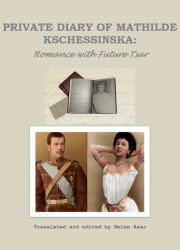 When the events of 1917 overtook the Romanov family Dickie could only watch helplessly, waiting anxiously for news. 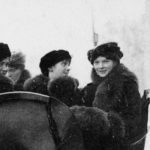 In March 1917 the 16-year-old Dickie, concerned for Maria and her family, wrote to his mother “How awful about what has happened in Russia. I suppose Uncle Nicky is quite safe, though I can’t understand why he has abdicated” (Mountbatten: Hero of Our Time by Richard Hough, P39). Later in a 1969 interview Mountbatten recalled “We had very little news of the family after the Bolsheviks took over. We all hoped that they would ultimately be sent into exile, but we feared the worst. 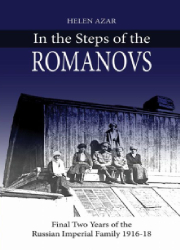 Even when it happened, it was a long time before we heard the details, which were quite horrible […] these horrible deeds cast a shadow over the whole of my family for a very long time.” You can watch the entire documentary Here (Mountbatten speaks about the Romanovs from 03:50-08:50). 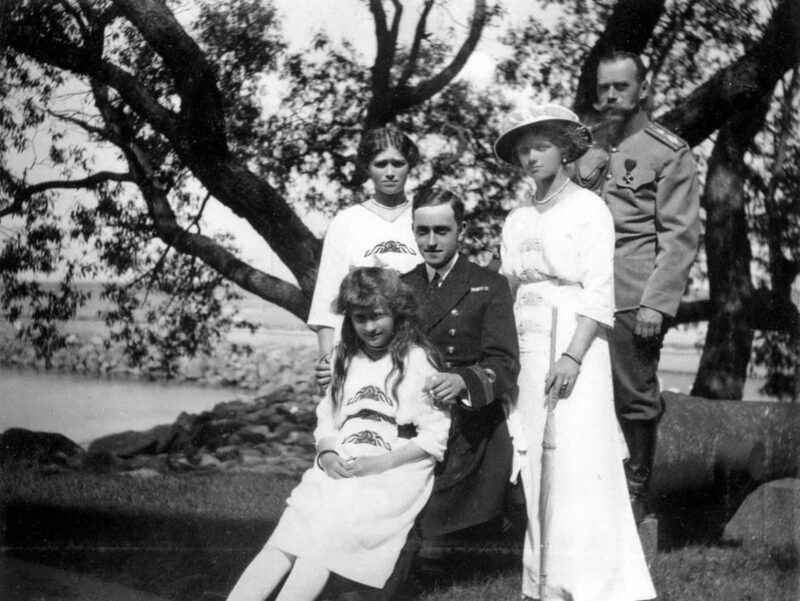 George of Battenberg with Olga, Maria, Anastasia, and Nicholas at Peterhof in June 1914. Dickie never forgot Maria and when he visited Russia for the first time in 1975, according to his hosts, he spoke endlessly of his time spent with her and her family. 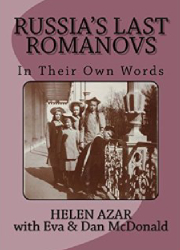 He also made tours of the palaces at Peterhof, Tsarskoe Selo, and Petrograd- much changed after World War II and Soviet rule (Mountbatten: Hero of Our Time by Richard Hough, p. 262). 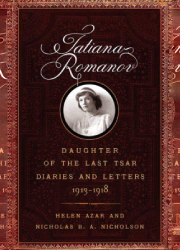 One can speculate he was attempting to find some nostalgic connection to the love of his childhood, trying to glimpse into her world: the lost world of Imperial Russia, the world he never fully got to see. 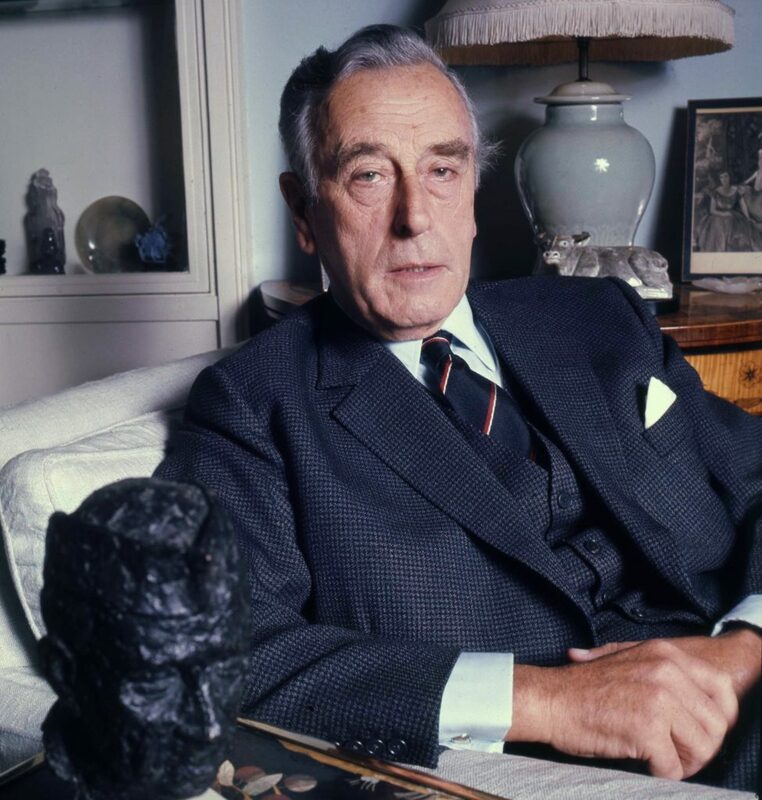 Louis Mountbatten himself was assassinated by terrorists just four years later in 1979, at the age of 79.